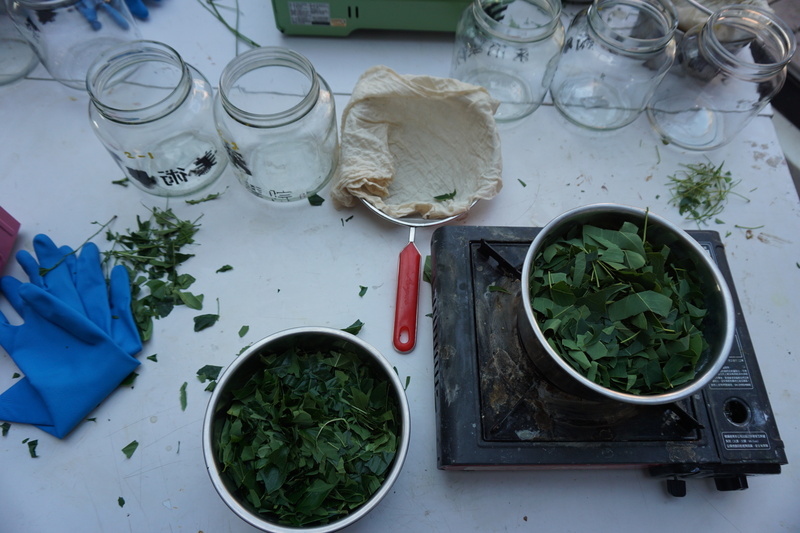 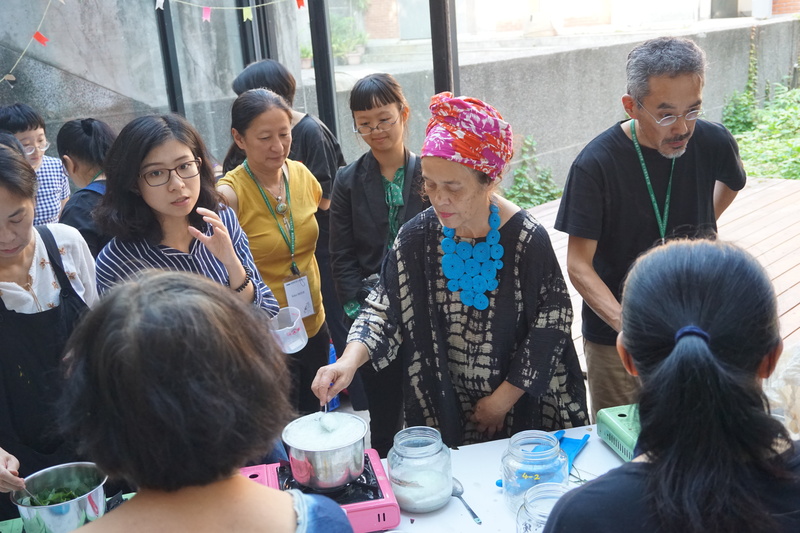 Over the course of three days in October, students, craftspeople and researchers explored indigo from a variety of perspectives, as a methodological and pedagogical tool to surpass borders based on territorial, temporal and disciplinary categories in higher education. 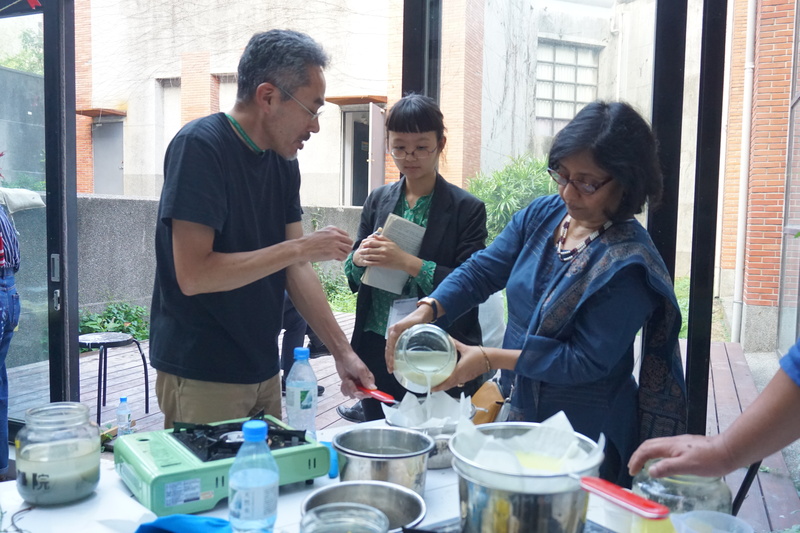 This methodology workshop, organised by the Taipei National University of the Arts (TNUA) in association with HaB and IIAS, included field visits and hands-on exercises that contextualised the discussions that took place and provided a truly immersive experience. 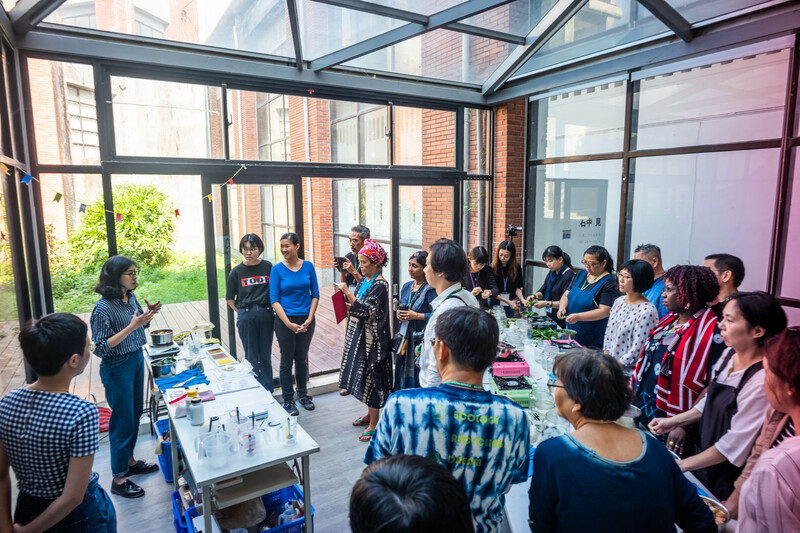 Day 2 began at the FuturePast Lab at TNUA, with a welcome address and introductions. 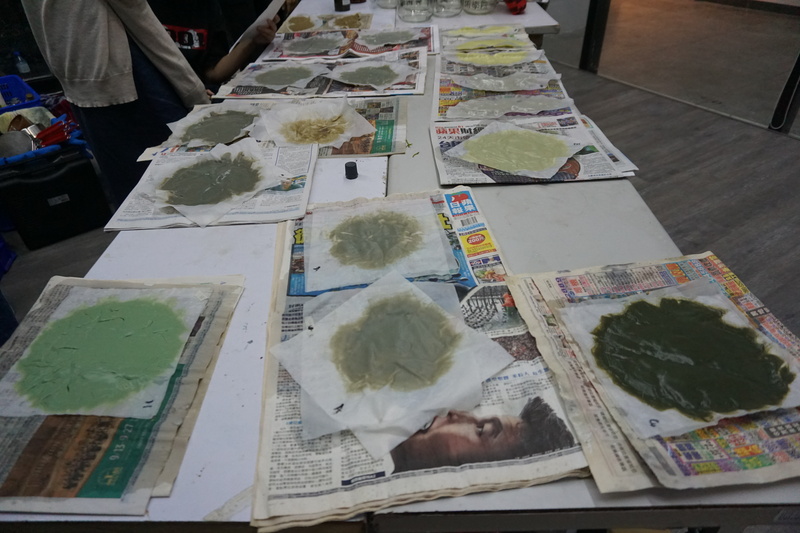 After lunch, it was time for the natural colours workshop. 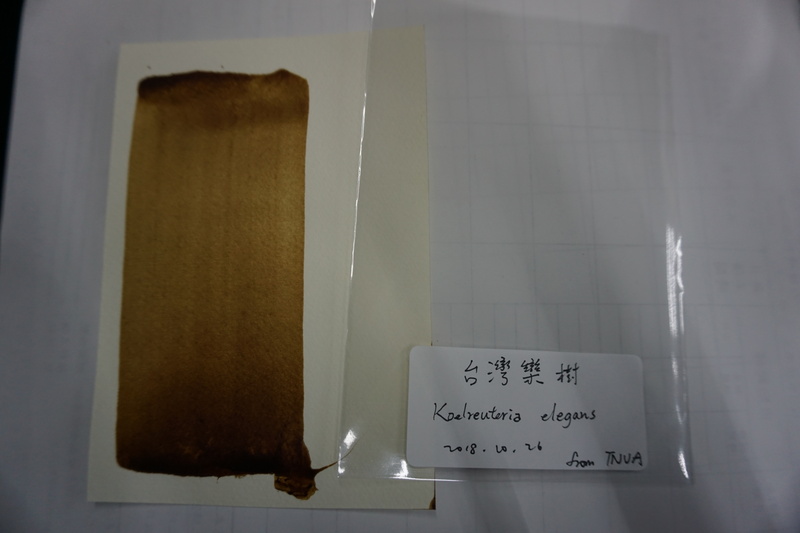 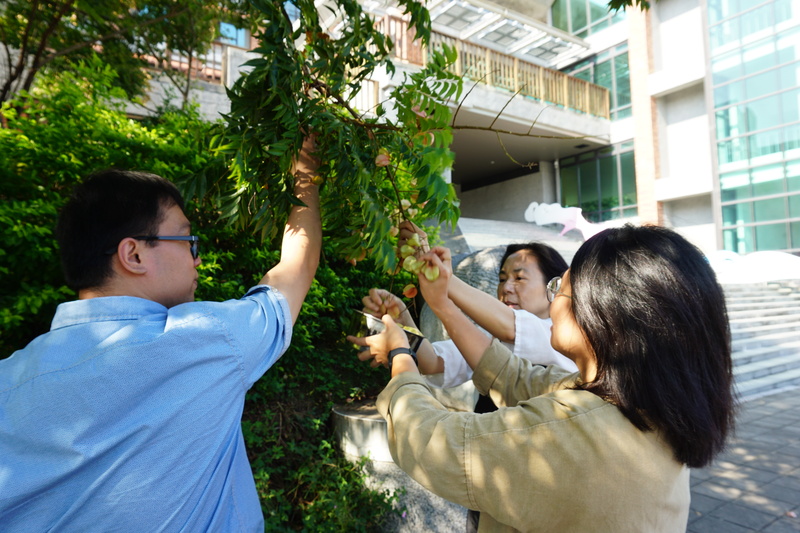 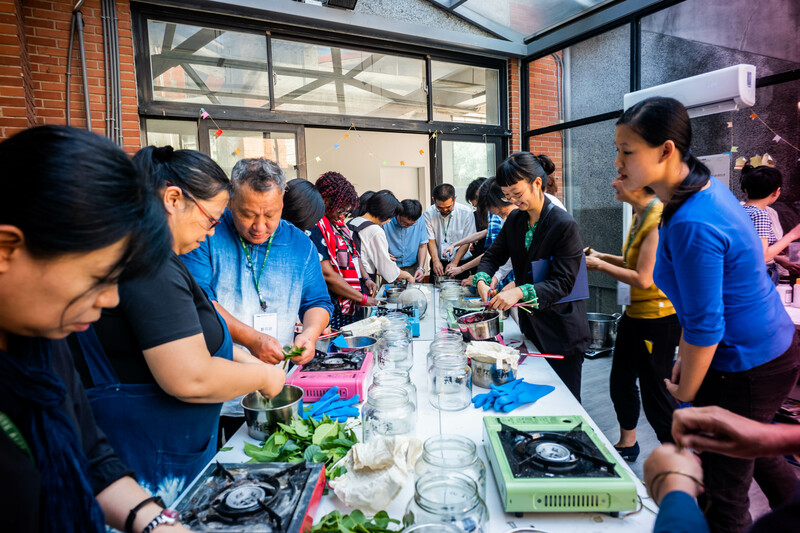 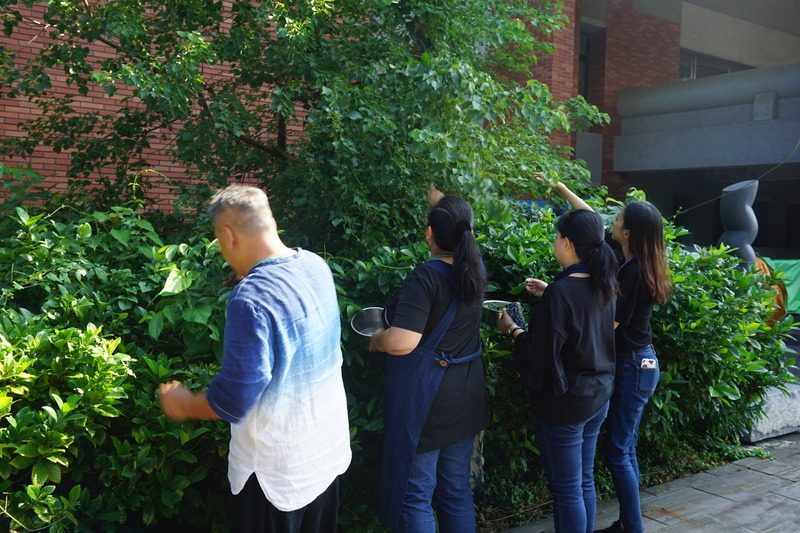 Participants, guided by Huachen, explored the campus, collecting plants from which they learnt to extract colours and produce pigment. 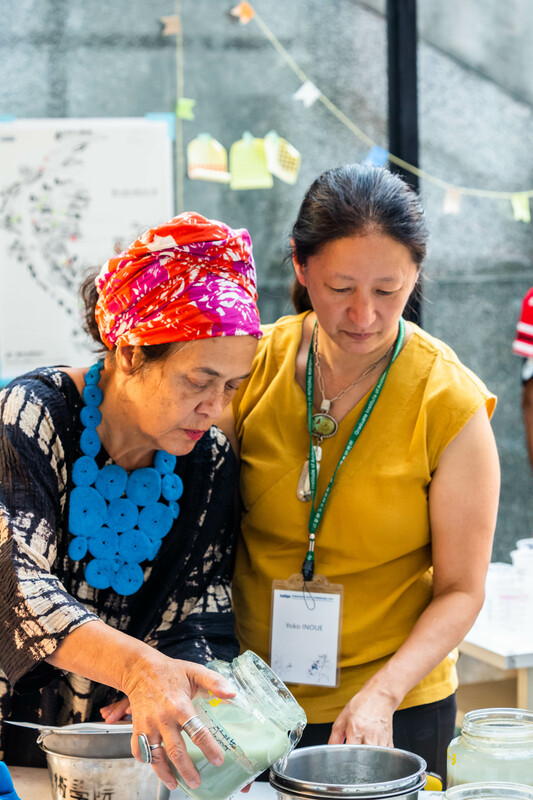 Under this project, the extraction of colours and pigments from nature is being explored as a method of knowledge production—of knowing, archiving and interacting with a place and its communities.